If your husband has begun collecting Social Security benefits, you’re usually entitled to collect based on his contributions when you retire as well. 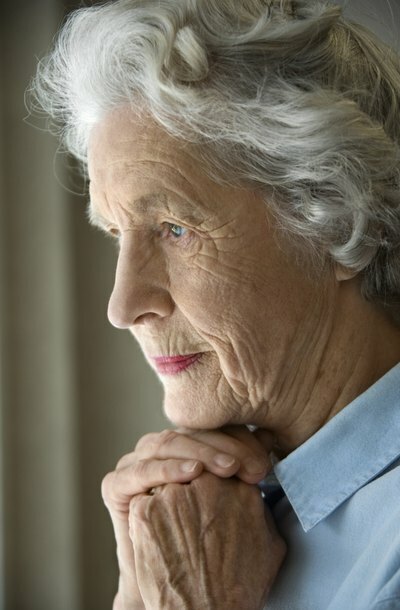 You must be age 62 or older, and you must wait two years after your divorce is final. You can’t remarry. If you were married for ten years or more, you can opt to collect benefits based on his work history rather than your own. This can be particularly advantageous if your husband out-earned you to a significant extent. Pensions and retirement accounts are marital property, and you usually don’t have to be of retirement age yourself to collect your share of your husband’s benefits. At the time of your divorce, your attorney will prepare a qualified domestic relations order, familiarly known as a QDRO, which directs your husband's retirement plan administrator to divert a portion of his monthly payments to you. If he’s retired and if he's currently collecting, you’ll begin to receive this money immediately. If you did not use an attorney for your divorce, you should have a financial professional, such as an accountant, prepare the QDRO for you, because you usually can’t collect on your husband’s benefits without one. Your divorce decree, awarding you a portion of his benefits, won’t suffice. Retirement accounts such as IRAs generally do not require QDROs. You can usually roll these benefits right over into an IRA in your own name. However, if you cash in the account or take withdrawals before you reach age 59 ½, you’ll pay taxes and penalties. Your husband’s retirement status may affect the disposition of other marital assets when you divorce. If you live in a community property state, you’re automatically entitled to half the value of all property you and your husband acquired during your marriage. However, if you live in an equitable distribution state, a judge will weigh several factors when dividing property between you. One of these factors is usually each spouse’s ability to earn income going forward after the divorce. If you’re still a young woman, and if you enjoy significant earnings, this might result in your spouse receiving somewhat more in the way of marital property. His future earning potential is less than yours, so a judge might consider that he needs the property more. If you're both retired, this would not be a factor. Many states, such as New Jersey, will not automatically absolve your husband of responsibility for paying you alimony just because he’s retired and his income is less. His age at retirement is often the pivotal factor. If he retired at age 60, most courts consider that this is a voluntary event and that he probably has several years of earnings ability left. His election to retire early should not deprive you of financial assistance post-divorce. However, if your husband is age 65 or older, it’s reasonable to expect that he would retire. In this case, the court would base alimony on his lower income, so you would probably receive less than you might if he had continued working.